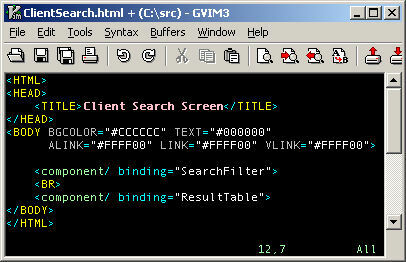 XML component bindings and object attribute specifications. 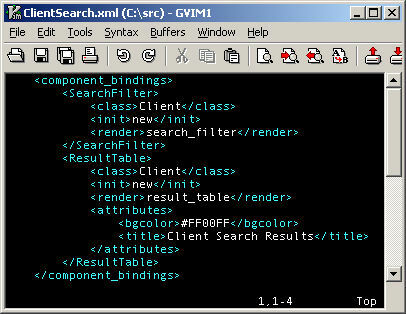 Components can be customized on a per-use basis through XML component bindings. Component debugging facility which can modify generated page to include links to pop up windows generated at runtime containing object instance dump. Rules-based CGI form variable processing to minimize code required to organize form variables by function. Base class which provides C++-like attribute inheritance and constructor execution. Session management class for data persistence and inter-component data access. Error/notice handling class which provides a means of collecting messages generated during page generation and presenting the messages in a consistent manner. Notices can be coded for severity and presented in styles determined by severity. Email generation based on severity of errors. Database access functions based on DBI to simplify database operations and auto-generate where clauses. Compatible with Apache and IIS, works with or without Mod_PERL. Supports PERL 5.6 and 5.8.